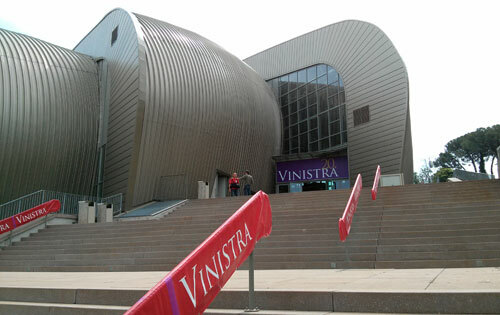 In May, we attended Vinistra. This was their 20th edition of the fair, but this isn’t just an organization that puts on a fair each year to show the regional products of the Istrian Peninsula. Vinistra is the closest entity Croatia has to a DO body. This is part of the reason that Istrian wines are of a higher, more evenhanded quality level than other regions of Croatia. While not an official governmental body, it sets some parameters as to how wines should be produced in the region — particularly the ones made with Istrian Malvazija that are certified with the IQ seal. But, beyond all of this, the fair is a great cross section of the wines being produced in the region. This was our first time attending it as in the past too many other events overlapped given that May is batshit insane when it comes to the number of wine fairs that take place then. Still, despite the number of wineries being fewer this year, it was a very easy way for us to get to know a great many of them all at once. While having tasted Kozlović and Matošević in the past (the first of which we visited a few years ago), it was great to catch up on their latest vintages and see that their quality level continues to remain strong. It was also great fun to find the Tomaz and Radovan wines, the later of which we later paid a visit to, but a bit more on those later. Obviously one of the big topics on everyone’s mind was the “Teran Name Issue” as it appeared and continues to be the case that with Croatia now part of the EU, Croatians can’t use the name, “Teran” for their red wines of this grape as the Slovenians claim it to be theirs to use for the PDO region of Kras which are wines actually based upon Refošk, not the Croatian/Italian Teran. It’s a rather absurd argument, but it has played out before and why Catalan producers are supposed to use the confusing name Samsó instead of Carinyena on their bottles that include the Carignan grape. As to how somebody lays claim to an international grape name is a mystery. Also a mystery is what the Istrians plan to do as no ideas seemed to really be emerging. Naming politics aside, at three days in length, it’s hard to truly give every wine we tasted at Vinistra its due, but what this event showed to us was that while the reds can be up and down, Malvazija continues to be the strength of Istrian production and that they’ve managed to move past their truly difficult 2010 harvest that showed few wines of merit. It’s also encouraging to see more winemakers releasing wines blended from several grapes as opposed to relying on single varietals which has generally been the traditional way across Croatia. In addition to the wines, this trip also allowed us to explore Istria’s quite excellent enotourism amenities for additional material in our Istria guide that we hope to release at some point this year. We’ll follow up on some of the finer places we visited, but many thanks to Ivica Matošević and Vinistra for inviting us to their fine event.